Prepaid debit cards: Convenient, flexible, and secure. Why carry around cash? A prepaid debit card works just like a credit card, but requires no qualification. And you can use it in most places you would use a credit card, even internationally. A prepaid debit card is safer than cash, as easy to use as a credit card (but with no monthly bills or late fees! ), usable just about anywhere (including online), and you can direct deposit your paycheck right onto your prepaid debit card. 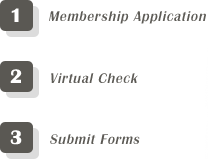 Prepaid debit cards can be used as one, or several, savings accounts. With a NetSpend prepaid debit card, you are eligible for a NetSpend Savings Account: No minimum deposit, and NetSpend offers a 5.00% interest (Annual Percentage Yield)-one of the highest interest rates in the country. Load your card with funds from your savings account, or use it to deposit funds. And it's FDIC insured. Need an easy way to manage your finances? Pick up a Western Union® Prepaid Card, COMING SOON at all Payday Hawaii locations. Add money to your card. Track your balance online, over the phone or through mobile text alerts. Keep track of your spending. 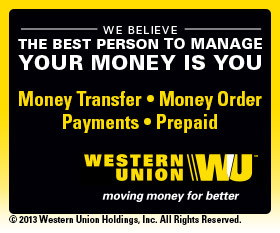 Stop by and get your Western Union prepaid card today! Prepaid debit cards are great to use as gifts: They're accepted virtually everywhere, and you can load whatever amount you wish.Prepaid debit cards make it easy to budget and to stick to your budget-you can't get into debt, and you can assign how much you want to spend. At PayDayHawaii, it's also easy to reload your prepaid debit card, in person at one of our handy locations. Prepaid debit cards are only one way to save big in the long run. For more on savings tips, visit our America Saves page.